An in-depth dive into message persistence in AMQ, a notoriously difficult minefield that is important to get right. 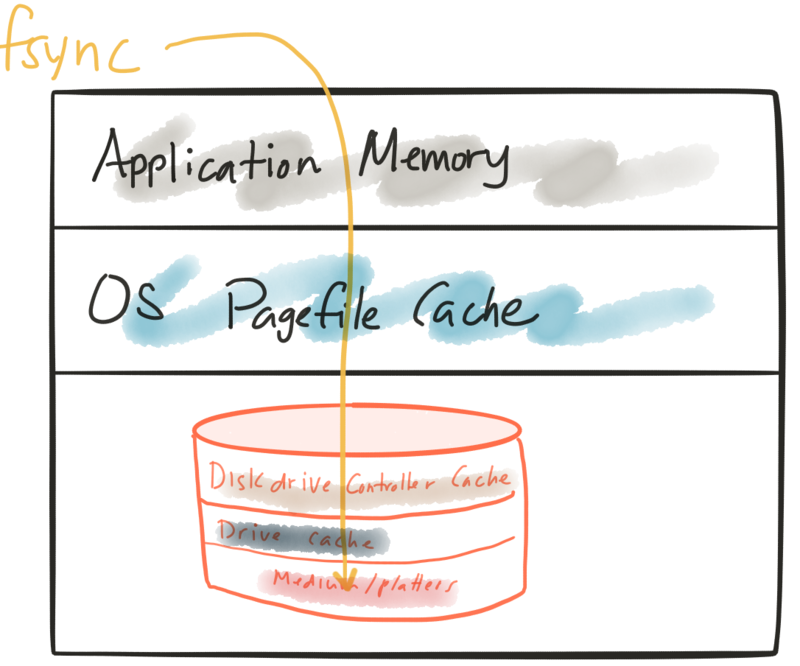 I get asked quite a bit to explain the basics of how ActiveMQ works with respect to how it stores messages (or doesn’t in some cases). Here’s the high-level explanation of it. Note, the context is within JMS. If you use ActiveMQ’s non-JMS clients (e.g., STOMP, AMQP, MQTT, etc.) then the behavior may be different in some cases. The JMS durability guarantees are pretty strong in terms of not losing messages that are marked “persistent.” Let’s see how that applies for ActiveMQ. Topics are a broadcast mechanism. They allow us to implement publish-subscribe semantics in JMS land. However, what happens if we mark a message “persistent” and there are no subscribers? In any normal broadcast (e.g., I go downtown and start shouting about the awesomeness of ActiveMQ), if there are no subscribers (it’s 3am and there’s nobody around to hear me…. must’ve been a good night out if I'm out at 3am) then what happens? Nothing. Nobody hears it. And we move on. ActiveMQ doesn’t do anything with the message if you publish it (persistent or not persistent) and there are no subscribers (no live subscribers and no durable subscribers). ActiveMQ will only store the message if there are durable subscribers (active or inactive). For an inactive durable subscription, ActiveMQ will store messages marked “persistent” into a non-volatile store and wait for a subscriber to rejoin the subscription. At that point it will try to deliver messages. We can increase performance of sends to the broker by batching up multiple messages to send at once. This utilizes the network as well as the broker storage more effectively. There’s an important distinction you must be aware of when sending transacted. The opening of the TX session and the closing of it (rollback/commit) are all synchronous interactions with the broker, however, the sends for each individual message during the TX window are all sent asynchronously. This is okay if everything works out because the broker batches these messages up. But what happens if there are transport errors? Or the broker runs out of space to save these messages? ActiveMQ by default will implement JMS durability requirements which basically states messages that get stored must survive crashes. For this, we by default will do a “fsync” on the filesystem. Now what happens on each system will be dependent on what OS, network, storage controller, storage devices, etc you use. This is the same you’d expect for any type of database that needs to persistently store messages and is not ActiveMQ-specific, per se. Messages get dispatched to consumers up to a certain “prefetch” buffer that lives on the consumer. This helps speed up message processing by having an available cache of messages on the consumer ready to process and then refill this cache as the consumer consumes them. In ActiveMQ these prefetched messages are denoted as “in flight” in the console. At this point it’s up to the consumer to process these messages and ACK them. (this will depend on the ack modes… the default of auto ack will send the ACK as the consumer gets the message.. for more important message processing you may wish to use “client” ack where the client explicitly says when to ack the message, i.e., after it’s completed some processing). If the consumer fails for some reason, any of the non-ack’d messages will be redelivered to another consumer (if available) and follow the same processing as above. The broker will not remove the message from its indexes until it gets an ACK. So this includes failures at both the consumer and network level. If there are errors at either of these levels even after a consumer as “successfully processed” (note, this is very use-case specific what “successfully processed” means), and the broker does not get the ack, then it’s possible the broker will re-send the message. In this case you could end up with duplicates on the consumer side and will probably want to implement an idempotent consumer. For scaling up messaging producers/consumers, you’ll want to have idempotent consumers in place anyway.